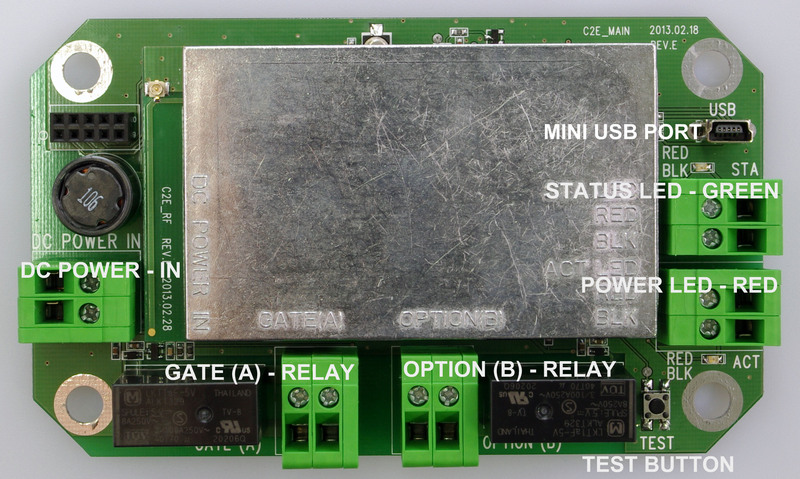 Click2Enter, Inc. launched the new version of its emergency gate and door access control product, the Click2Enter-I.V4, in the summer of 2013. The Click2Enter-I.V4 takes advantage of state of the art electronics presently being designed in to scanner radio technology. This modified scanner/radio technology provides public safety agencies with a quick, safe, reliable, and stealthy means to activate gates, bollards, doors, or any security control mechanism. 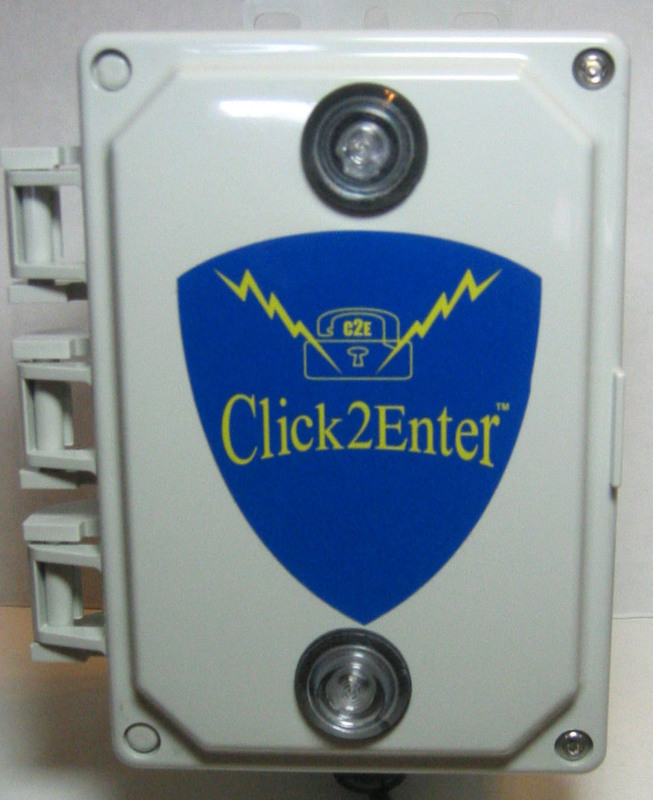 The Click2Enter-I.V4 combines the scanner/receiver technology with control technology to act as a radio controlled key to open access control devices (gates or security control mechanisms), thus allowing public safety agencies or any authorized users immediate access to deal with emergencies as the occur. To activate the Click2Enter-I.V4, the operator must be close to the device, and using short transmission pulses of their radio transceiver (see operating instructions) is all that is required to initiate an instant activation/entry. The Click2Enter-I.V4 uses technology that is inherent in most all radio broadcast equipment and adapts this technology to work as a control mechanism. We increase the security of the Click2Enter-I.V4 by requiring a verification of the RCC assigned carrier frequency and the agency assigned sub-audible communications (private line code.) So it takes two separate verifications to effect an activation of the device. Click2Enter-I.V4 stores a running activation log in memory for operator recall. The Click2Enter-I.V4 system allows any public safety agency or authorized user access, as long as the frequencies used are programmed into the devices frequency bank. Having the ability to program in multiple users supports true mutual aid capability and speaks to the mutual aid problems that exist with other emergency access control products. Programming of the Click2Enter-I.V4 is accomplished using the free software available from the company website (Support/Downloads). Several more unique and valuable features are designed into the Click2Enter-I.V4; see the features list below for more details. The entire activation sequence takes less than four seconds. The operator can be on foot, bicycle, or horseback (using the portable radio) or in a moving vehicle (using either portable or mobile radio). Innovative, cutting edge, reliable, unique, safe, fast, and easy to use are just some of the ways to describe the Click2Enter-I.V4. Click2Enter, Inc. is revolutionizing the emergency access control industry and setting a new standard for many years to come. Reflective logo for night identification.